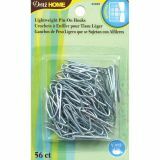 Pin-On Drapery Hooks Lightweight 56/Pkg - DRITZ: Pin-On Drapery Hooks Lightweight. 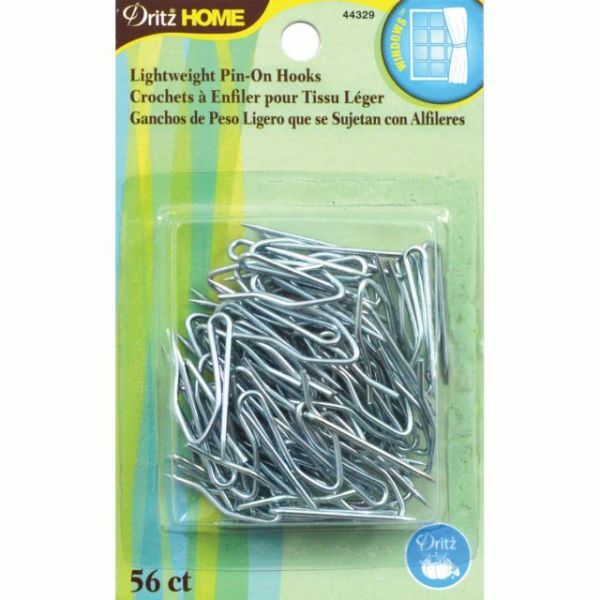 Use these pin-on hooks for decorator or flat curtain rods, for hanging sheers or lightweight panels and more! This package contains fifty-six metal hooks. Imported.